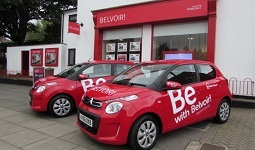 A Belvoir franchised office in the East of England has become available for resale. This exciting opportunity is for a Sales and Lettings business with a managed portfolio of over 480 properties plus around 160 let-only properties, with a strong and loyal landlord base of well-established lettings. The Winman & Vebra business systems are in place, and the business benefits from a prominent position with high foot and vehicle traffic. The client base offers excellent scope for further growth whilst enjoying the benefits of being part of a large, and award winning, well-respected brand. The sale of the business is a share sale including the lettings portfolio and trading assets, and the opportunity to maintain the prominently positioned office on (subject to separate agreements). Being marketed for sale with offers in the region of £520,000, this is a great opportunity to acquire a strong and recognised business that has a loyal customer base, a strong managed property portfolio that that can be further developed under the right person. For full details regarding this fantastic business for sale, please fill in the form below and we will send you a Non-Disclosure Agreement.